Krasney Law is a full service California Personal Injury Law firm headquartered in San Bernardino, CA. Our firm is dedicated to the practice area of Personal Injury Law and we are committed to achieving the best results for our clients. 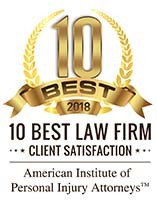 Our firm is dedicated to fighting for the victims injured in Wrongful Death Accidents, Motorcycle and Bicycle Accidents, Pedestrian, Dog Bites and Burns & Brain injuries, in addition to all aspects of other personal injury. Our firm is results oriented with an aggressive style of litigation that is very effective when and if needed. Our firm has the skill and experience to determine the best strategy for your case. Your initial consultation is always free and there is never a fee unless we recover money for you! It doesn’t matter where you are in California. From the desert to the sea to all of California, Krasney Law is there to help you when the unfortunate happens to you or a loved one. If you’ve been injured anywhere in the State of California then you need to call us right away at (909) 380-7200 for a free case evaluation and consultation and advice on how to proceed with your case and get the best results. The Medical Bills can start mounting quickly after getting in an accident. First comes the Ambulance Bill and then shortly after that is the Emergency Room bill which can often be $5,000 to $30,000 plus based on the severity of your injuries!! How do you pay for these? You don’t have that kind of money and now you can’t work due to your injuries. Your bank account is rapidly going down and now you need help. We can maximize your financial settlement and help you get your bills paid so that you can return to a normal life as you knew it. There is no advantage to waiting to speak with a Personal Injury Attorney at our Law Firm. As a matter of fact, acting quickly can help tremendously. We can help you with getting your medical bills paid, we can refer you out to doctors that will help you recover quickly. We have meeting places throughout the entire State of California and we can even meet via a live internet conference. Meeting is quick, we can usually meet with you the same or next day – and we are always available by telephone. If you’re looking for a successful California Personal Injury Attorney then look no further, you have just found us and we will take care of you. At Krasney Law, there is never a fee if there is no recovery of money for you. We advance all costs in dealing with your case from ordering the Police Reports, and Ambulance Reports to Medical Records and so on. We advance all of these costs and more. In addition to our time and expertise, we make a significant investment in your case from the beginning. Putting it simply, we put our money where our mouth is!! If for any reason, we are unable to get a recovery for you then we absorb all of these expenses as a cost doing business. Expect Excellence & get Results with our Firm! At Krasney Law, we have a mission to our clients to provide the highest level of legal assistance in their personal injury matters. These are more than just words on paper, but are values that are instilled in every member of our staff from the ground up. We strive to be prepared, work smart and hard and maintain a close relationship with all of our clients. This mission statement guides our work ethic and is the reason that our firm has grown and prospered each year. You can count on the experts at Krasney Law to get your case handled quickly and efficiently. We look forward to meeting and exceeding your expectations and maximizing the value of your case. 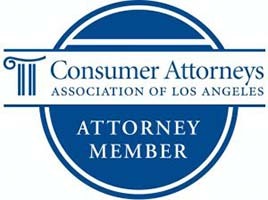 As our firm moves forward, we will always be accountable to our client. We will endeavor to find the most cost effective, aggressive & creative ways to achieve the best results. Integrity means that we must act in a proper legal and ethical manner at all times in everything that we do. Communicating and earning the trust of our clients is Job One here at Krasney Law. We will consistently deliver quality legal services with Excellence.